The 36-year-old former South African Olympic swimmer and 56-year-old husband, son of actress Grace Kelly, issued a short statement on Friday expressing their “immense joy” at the news – no doubt shared by the Royal family as he or she will become heir of the tiny principality, no bigger than New York’s Central Park. Until the child is born however, the throne will be passed to Albert’s older sister, Princess Caroline. 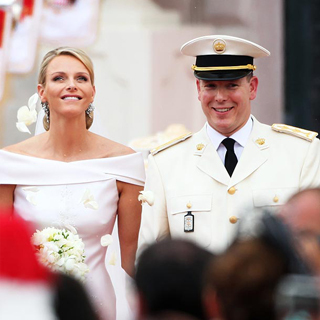 Much like Britain’s much loved Duchess of Cambridge Kate Middleton, Princess Charlene is known for her elegant fashion style, much like Grace Kelly herself, so it’s fair to say the world will be watching how she dresses her bump over the coming months. We were excited to work with mum to be @iamjennyhofit - simply glowing at 39 weeks pregnant!